Born of a shared passion for innovation, our partnership with DuPont™ Corian® has led to the creation of this ambitious collection. Combining Corian® solid surfaces with our own handcrafted furniture, the results inspire and intrigue in equal measure. A bookmatched finish can also be achieved when solid surfaces are used for both cladding and worktops. We are also able to produce worktops in any colour from the Corian® range. Please contact us for a quotation on any alternative finishes to the samples shown below. 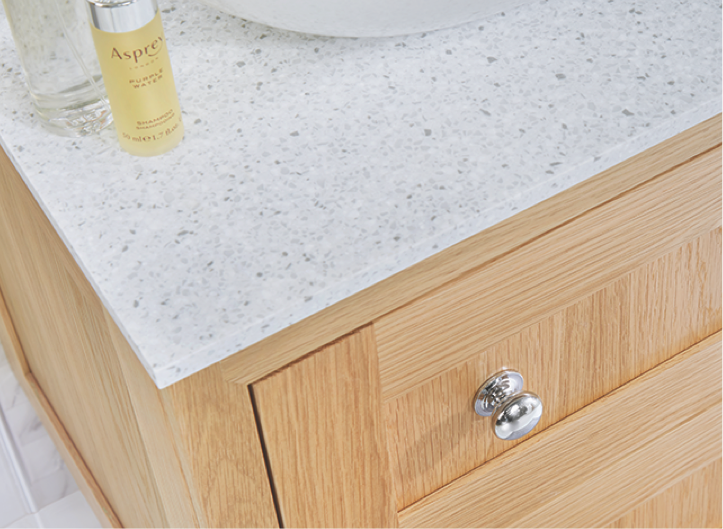 There is nothing nicer than a luxurious Corian worktop, that is until now! After being meticulously finished by hand to our exacting standards, the Corian surface is then used to clad the entire unit. 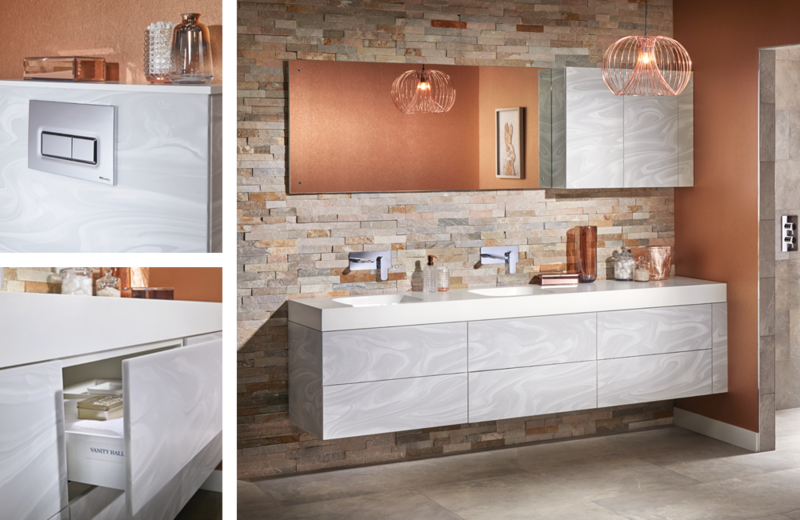 For the ultimate bathroom, consider beautiful Corian and inject celebrity style into your bathroom. 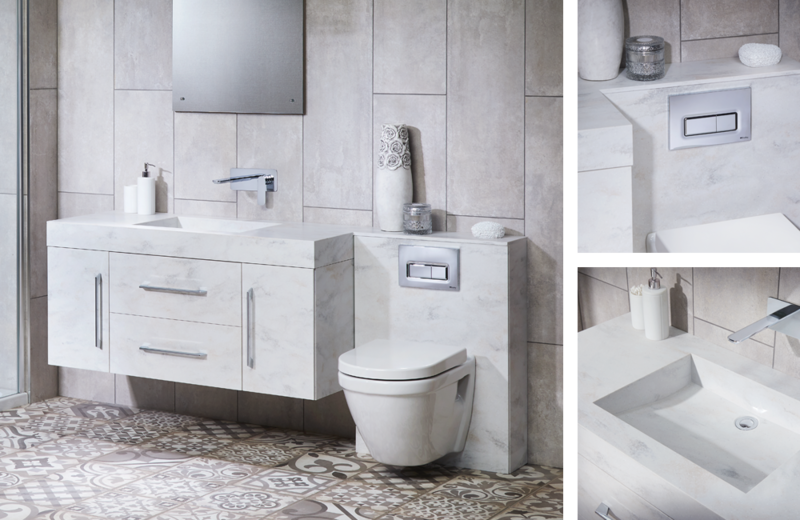 A more compact bathroom or en-suite can still look sensational, especially if the units and matching worktop are in stunning Corian. 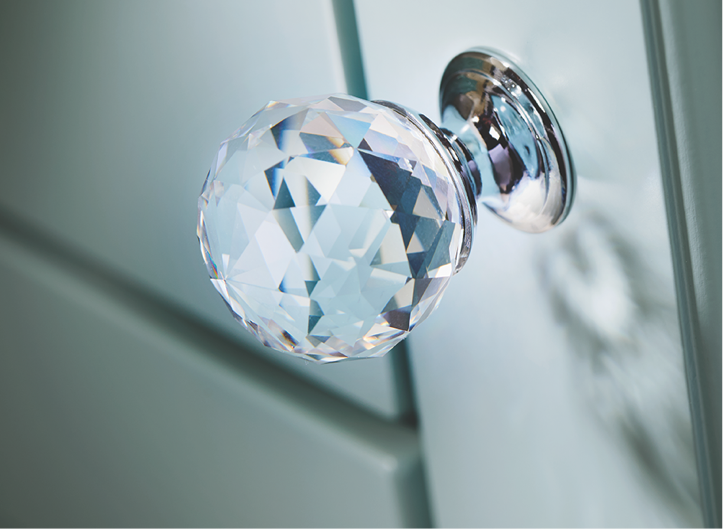 Hand finished by one of our talented craftsmen, you can be sure that a bathroom from Vanity Hall will exceed your expectations.